Audiophiles are a step beyond simple “music lovers”. Most people enjoy music. But if you are an audiophile, you know how much a high-quality sound can give you the shivers when your favored tune goes down your spine. 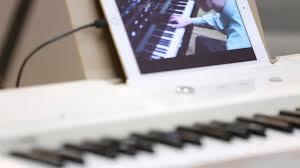 Only the top quality sound reproduction is acceptable though, since any “wooly” bass or high-pitched treble will detract so much from the experience to make it utterly unenjoyable. Not everyone has the same sensitivity after all. To truly enjoy their favorite music, audiophiles need to choose only the top-quality gadgets and devices that technology can offer. So let’s have a look at some of the most high-tech stuff currently available on the market if it… sounds good to you. The powerful KANN Digital Music & Media Player is a headphone amplifier featured among the best upgraded audio players from Astell & Kern. Supporting 7 Vrms outputs with a 32bit 384kHz Bit to Bit Playback, this high-performance device can be connected via high-gain balanced output to drive both low and high-impedance headphones without an additional amplifier. The quality of the sound is nearly perfect thanks to a line-out circuit whose output can be set in 4 different levels depending on the listeners’ choices. The audio can be fine-tuned to any environment, including cars, home systems or on the road. The Balanced output removes any background noise or distortions, and can double the transmitting signals to enhance all audio details to deliver a perfect original sound. 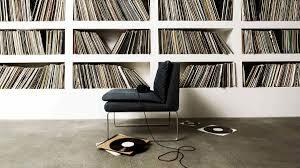 The sound of vinyl is unmatched, even today with all the technology we have. If you’re an aficionado of traditional music and of that unique feeling of old-school records, there’s no need to live in the past anymore. The Archer Vinyl Record Player can bring the classic turntable to the era of digitalization, allowing you to play all your music from your smartphone, laptop or computer. Capable of powering a full set of high-fidelity speakers that can deliver smooth and warm sounds, the Electrohome’s device can be hooked up to any handheld device via an auxiliary cord. To add an even more vintage touch, this record player can be stored in a ’60s-style black suitcase for sleek portability. Just be careful not to damage the diamond-tipped needle though! Want to listen to music while on the go without anyone noticing, or without fumbling with tangled and snatched cables? Earing earbuds are the tiniest earpieces currently available, and can deliver top-quality audio by functioning together as a single Bluetooth headphone. The high-precision balanced materials they’re built from allow for an incredibly high acoustic clarity and detail with almost no distortion. The minuscule wireless devices are quite comfortable to wear, and even easier to carry around. They are rechargable via a power capsule that they fit into, making storage and charging as simple as slipping it into your pocket. Some people just cannot stand wearing earbuds. They can make you feel somewhat uncomfortable, and many do not like the idea of being isolated from the rest of the world if someone calls you or an emergency occurs around you. For all these people, a new type of wireless headphones has been engineered which is able to deliver sounds and music via your cheekbones. Relying on the amazingly new bone conduction technology, the AfterShokz’s Bluez 2s “cheekphones” sound surprisingly clear and loud without being distracting. You can still hear your phone or doorbell ringing as well as someone calling your name. No one except you can hear the music you’re listening to, however, thanks to an innovative sound-funneling technology. An icon in creative design, the Bowers & Wilkins is a masterpiece of design, sporting a stylish and artsy housing, instead of the traditional squared box. This top-quality device won a Millennium Award, and it’s built with perfection in mind, starting from the materials it is composed of. with wet-wound high-temperature resin voice coils, and a 10mm-thick, glass-reinforced ABS exterior, the Nautilus provides ground-breaking high performance that will make you feel like you’re sitting in a opera theater. Some of these gadgets are rather expensive, but their quality fully justifies the price. Listening to your beloved band is a unique pleasure that should never be ruined by low quality or sub-par performance. And all these unique gizmos will make you feel like you’re hearing these tunes directly inside a stadium.